Type 2 diabetes is becoming increasingly common. So, unsurprisingly, are many of the factors that cause it. In fact, one of the best-established causes is not something you would expect can contribute to type 2 diabetes. It has nothing to do with unhealthy food, lack of exercise, obesity, or heart health. It is something that occurs almost exclusively at night. Numerous reports published in academic journals prove that insomnia interferes with glucose metabolism and could cause type-2 diabetes. The first studies that found that sleep deprivation led to an increase in blood glucose levels were published in the 1960s and 1970s. They were criticized for restricting the subject’s sleep to only four hours, which is less than the amount that most insomniacs sleep. Moreover, many experts disputed that such studies in an artificial laboratory setting can be generalized to the real world, but their conclusions from the study, namely that sleep deprivation reduced glucose sensitivity by as much as 40 percent, made a valuable contribution to the subject. A 2007 report in the journal Sleep took results from the first National Health and Nutrition Examination Survey between 1982 and 1992 and calculated that people who slept five hours or less were more likely to develop type-2 diabetes than normal sleepers were. This study was scientifically quite thorough, and had the medical details of over 9,000 subjects, allowing them to rule out obesity, physical activity levels, alcohol use, depression, and a whole range of other factors that could have caused diabetes. After ruling out all other factors, they concluded that it was definitely insomnia that was the cause of it. Therefore, the thesis that insomnia causes type 2 diabetes seems quite well established. If you sleep five hours or less on average, you have a larger risk of losing control over your blood glucose and developing type-2 diabetes. Your night’s sleep can be divided into five stages: sleep stages one and two are light sleep, stages three and four are deep sleep, and stage five is REM sleep during which you dream. You get most of your important restorative sleep during the deep sleep stages of three and four. Glucose metabolism is slower during deep sleep because your brain needs and uses very little energy. Insomniacs lack this sleep. Their bodies demand energy almost 24 hours a day, so their blood glucose must be maintained, and their pancreases must continue to secrete insulin. Remember that type-2 diabetes occurs when your blood glucose level and your insulin secretion are consistently high enough that your body loses its sensitivity to insulin. 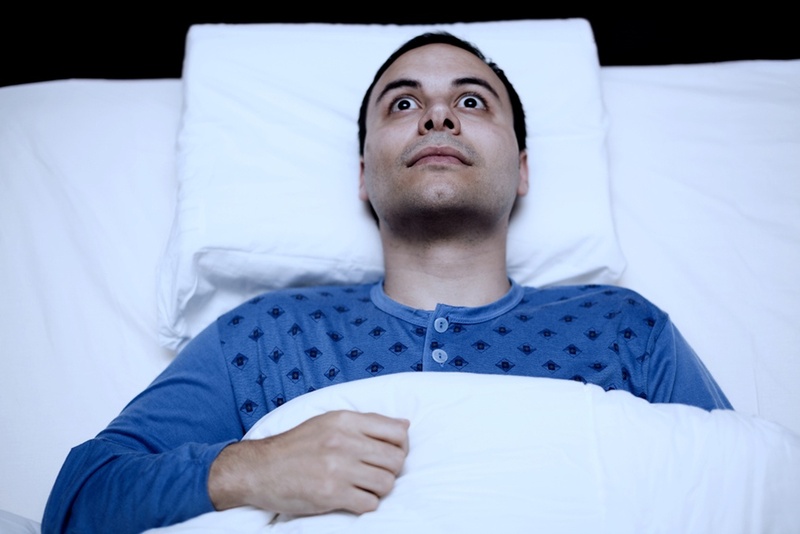 If blood glucose and insulin secretion never dropped, as is the case with insomniacs, it is not surprising that insulin insensitivity follows. Other hormones responsible for increased blood glucose are also secreted in larger amounts if deep sleep is lacking, such as growth hormone and cortisol.